Software models are key in separating and solving independent development concerns. However, there is still a gap on how to transition design information among these separate, but related models during development and maintenance. This paper addresses the problem on how to maintain the consistency of UML class diagrams during various levels of refinement. We present a new approach to automated consistency checking called ViewIntegra. Our approach separates consistency checking into transformation and comparison. It uses transformation to translate model elements to simplify their subsequent comparison. Transformation-based consistency checking, in the manner we use it, is new since we use transformation to bridge the gap between software models. No intermediate models or model checkers are required; developers need only be familiar with the models they design with and none other. The separation of transformation and comparison makes our approach to consistency checking more transparent. It also makes our approach useful for both propagating design changes among models and validating consistency. This gives developers added flexibility in deciding when to re-generate a model from scratch or when to re- solve its inconsistencies. 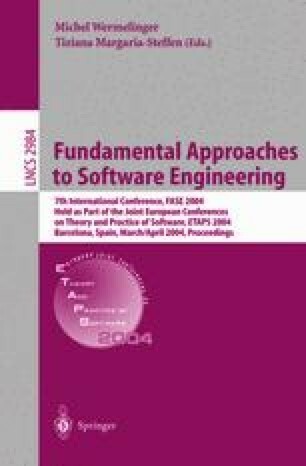 Although this paper emphasizes the adaptation and evaluation of class diagrams, we found our technique to be equally useful on other models. Our approach is tool supported.